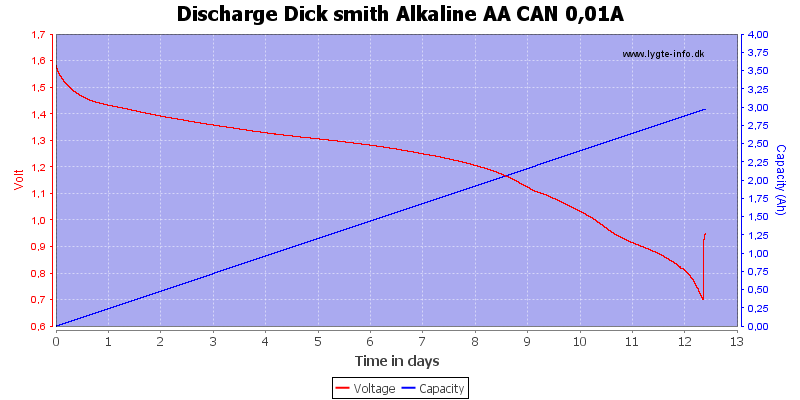 More AA alkaline from Canada. 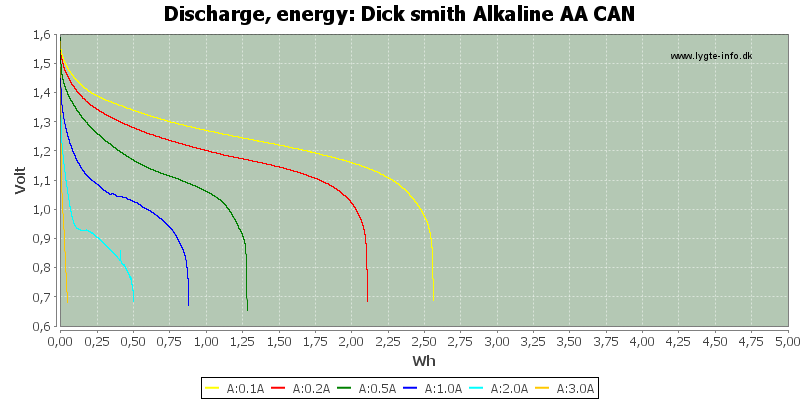 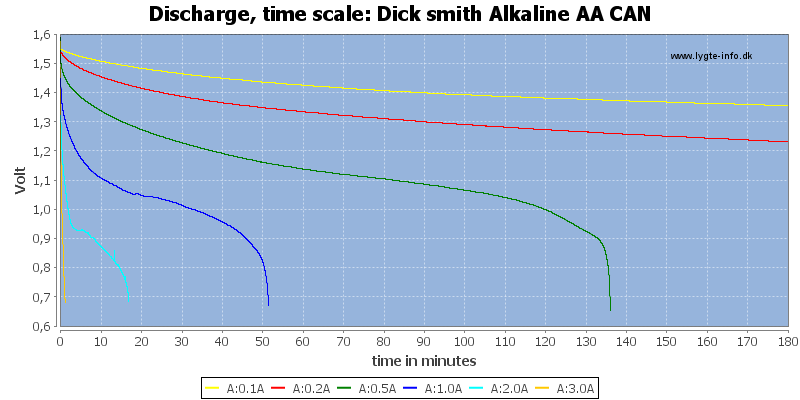 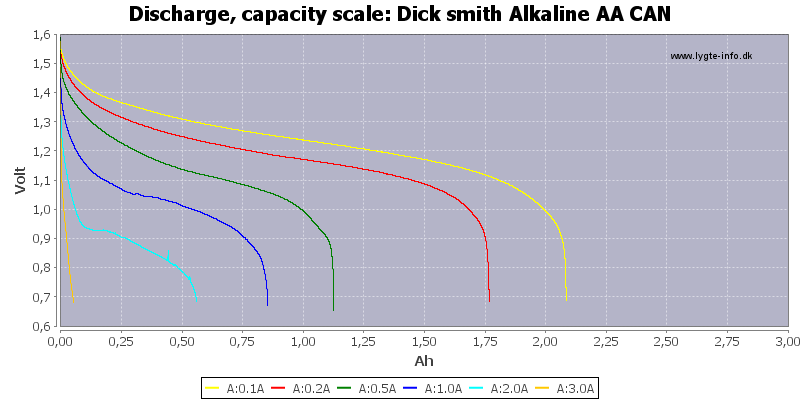 This is fairly standard alkaline discharge curves, but capacity is a bit on the low side. 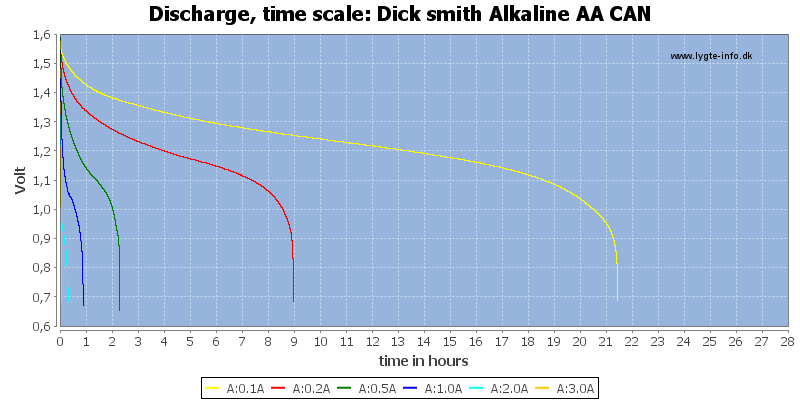 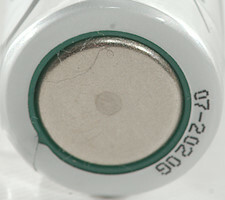 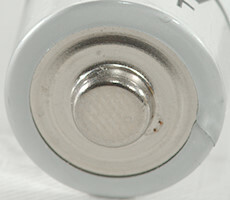 These batteries drops slightly faster in voltage than most Alkaline, i.e. 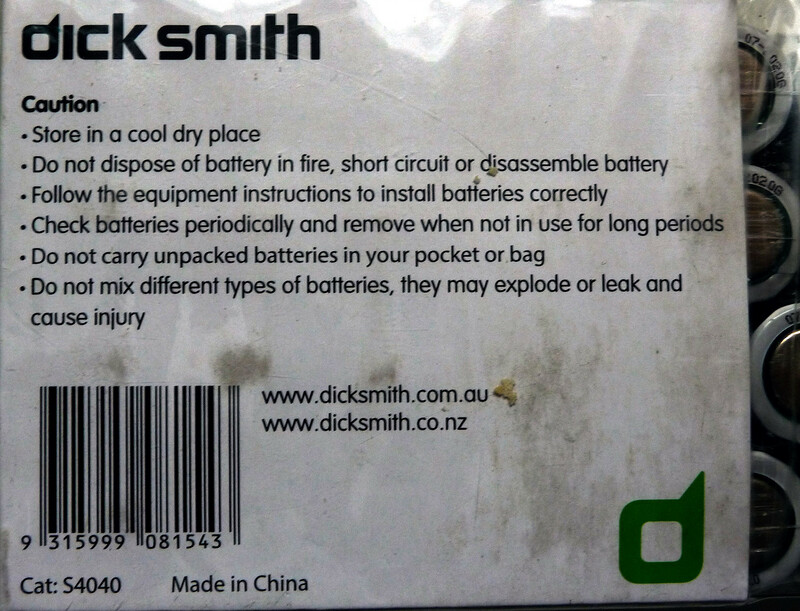 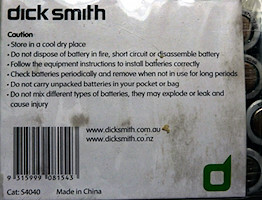 they are a bit low in capacity.